The Rapid’s Central Station is the first LEED certified public transit facility in the United States. 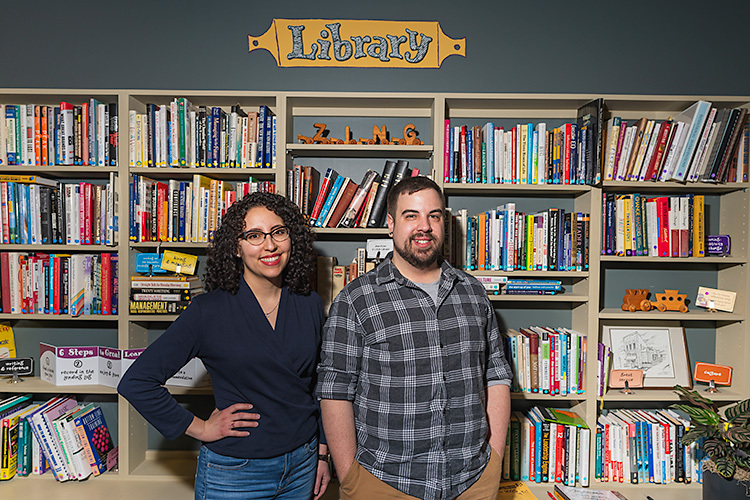 In the past 25 years, the Rapid has transformed to a "1950s-style transit system" that didn't run on Sundays, to a tech-forward, sustainable, and reliable public transportation network vital to the community. 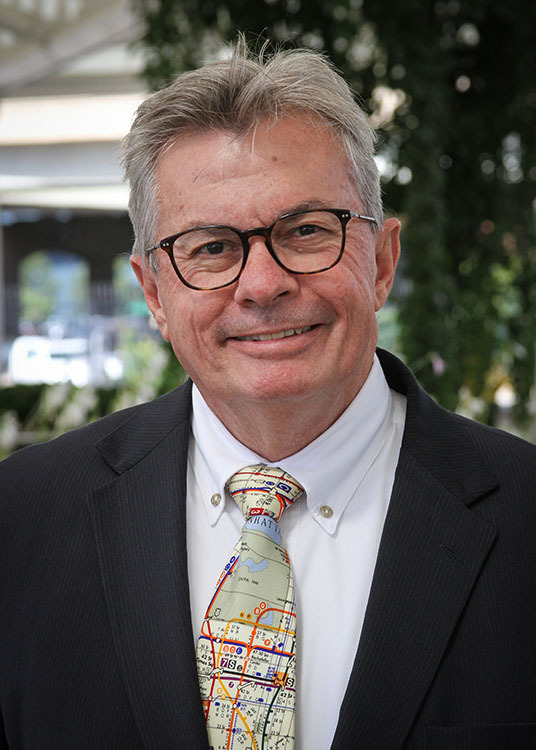 Peter Varga, recently retired CEO of The Rapid, has been the driving force that’s transformed a once sputtering public transportation system into a dependable public transport network that enables riders to track real-time arrivals. Milestones during Varga’s tenure include The Rapid operating the first bus rapid transit line in Michigan; building the first LEED certified public transit facility in the United States; organizing the six-municipality agreement to establish the Interurban Transit Partnership (The Rapid); expanding the free Downtown Area Shuttle (DASH) services; enabling riders to track bus times via six apps; and seeing ridership more than triple in 25 years — growing from 3.4 million annual trips to 11.9 million annual trips. Peter VargaVarga was first hired on as director of operations in 1993 back when The Rapid was known as the Grand Rapids Area Transit Authority. It was a time when the public transit system needed to do some serious soul searching. The gut punch for Varga doesn’t stop there. Arguably, Varga’s conversation with Logie became The Rapid’s most historical feat when in January 2000 six mayors from Kentwood, Wyoming, East Grand Rapids, Walker, Grandville, and Grand Rapids met at the former Peninsular Club to hash out to what eventually became the Interurban Transit Partnership, or more commonly The Rapid. 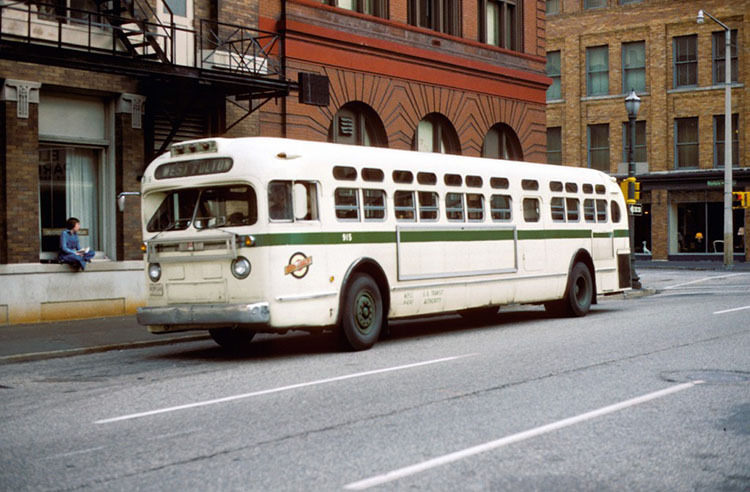 A GRATA bus from the 1960s. Opinions during that nearly one-hour meeting were varied over what the services this new public transit system should include and what the millage rate should be that would stand a chance of receiving voter approval. Eventually, the meeting winnowed down from a menu of 12 to what is known as “The Six Promises of the Interurban Transit Partnership” that was set at .75 mils (or 75 cents for each $1,000 of property owned in the six cities). The six promises included evening service; Sunday service; employment transportation solutions; frequency improvements; implementing the Passenger Adaptive Suburban Service (PASS) program, a suburban feeder shuttle that transports passengers from their curb to The Rapid fixed-route system; and implementing service at the 44th Street Crosstown, which included the purchase of five buses. 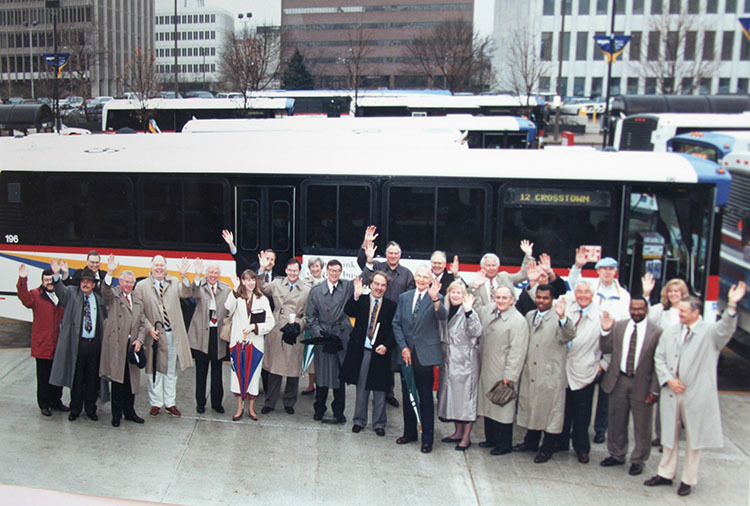 GRATA purchases 29 new buses in 1998, and the six city mayors and other dignitaries celebrate the achievement. Logie was elated with the mayors’ reaction, says Varga. Eventually, the ITP, or authority, was incorporated under Public Act 196 that, among other things, allows incorporated municipalities to levy property taxes for public transportation service. Voters in all six cities approved the millage rate in May 2000 and renewed it with increases in 2003, 2007, and 2011. It was renewed in 2017 but not with a millage increase. Additional achievements include launching the first bus rapid transit line — a service that combines the ease of bussing with the procedural efficiency of a metro system — in Michigan, dubbed the Silver Line, that began operation in August 2014. Its 9.1-mile route runs along Division Avenue on the Wyoming-Kentwood border into downtown Grand Rapids, where it loops around before terminating at Rapid Central Station. 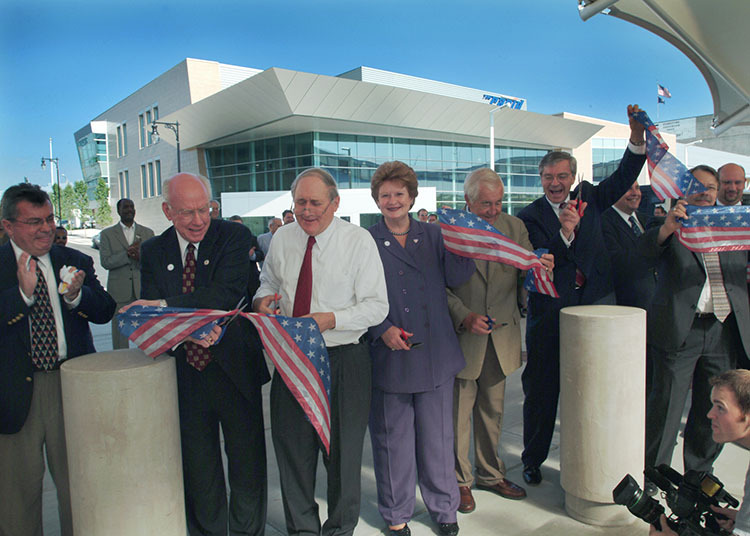 Ribbon cutting ceremony for the $22.8 million Central Station in 2004. From left: Peter Varga; the late U.S. Rep. Vern Ehlers; former U.S. Sen. Carl Levin; Sen. Debbie Stabenow; former Grandville mayor James Buck; former Grand Rapids mayor George Heartwell; and former Wyoming mayor Doug Hoekstra. The Silver Line’s features include level boarding, meaning the buses’ doors and boarding platform are level and require no steps; traffic signal priority, which means that when a Silver Line bus approaches a traffic light it remains green until it goes through; heated platforms; the app, RapidConnect, which is powered by GPS technology and accessible by smartphone, tablet or computer, and provides real time information; and “bus only” dedicated lanes during peak hours on weekdays. Riders can also now pay via a ticket vending machine that’s available on the platform, which saves boarding time. Another bus rapid transit line on the horizon will be named the Laker Line that will run along the Lake Michigan Avenue corridor spanning the cities of Walker, Standale, and Grand Rapids. It becomes operational August 2020, according to Varga. The Rapid also recently launched a smart card called The Wave that guarantees passengers will not pay more than the lowest authorized fee for any period of travel; easy-to-retrieve accounts if their Wave card is lost; plastic-made Wave cards that are more durable than their magnetic stripe paper counterparts; and curbed boarding time. DASH, the free Downtown Area Shuttle in Grand Rapids, is also expanding service to include weekend services and longer weekday hours, beginning Aug. 27 for its West and North routes. DASH service is fare-free and does not require a ticket or pass. A three-year pilot program named Route 19 has also been announced, and will serve riders from Plymouth Street along the Medical Mile on Michigan Street through a section of the near West Side along Bridge Street and up to Stocking Avenue. 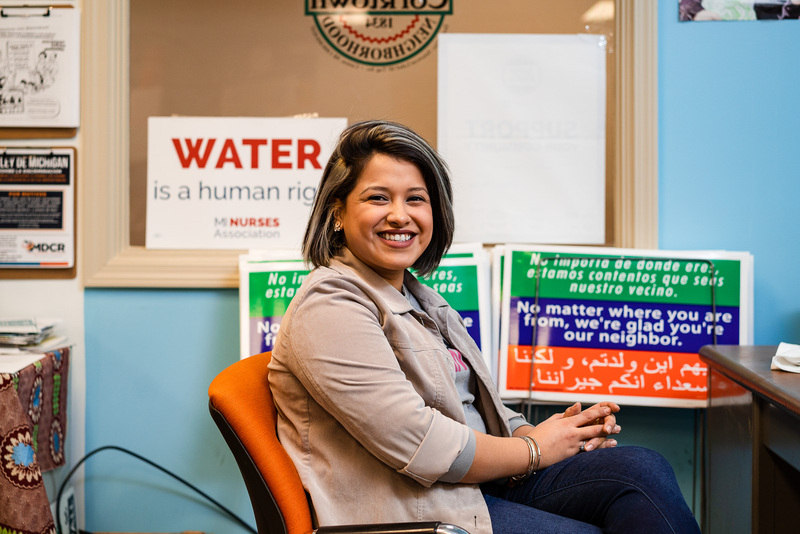 A partnership with the city of Grand Rapids’ Mobile, Route 19 will include stops near Spectrum Health, Grand Valley State University, Grand Rapids Community College, Michigan State University’s College of Human Medicine, and the Bridge Street Market. In addition, The Rapid has gone green. Its Central Station that opened in June 2004 is the first LEED certified public transit facility in the United States. LEED is an internationally recognized green building certification system aimed at energy savings, water efficiency, CO2 emissions reduction, improved indoor air quality, and stewardship of resources. And eventually within nine years, all of The Rapid's 150 buses that do route service will be fueled with compressed natural gas. “It is more effective than buying eclectic buses, which cost more, and charging electric buses at peak times is very expensive,” says Varga. During Varga’s 25-year tenure, The Rapid has twice been named the Outstanding Public Transportation System by the American Public Transportation Association in 2004 and 2013. It was recently announced Andrew Johnson is The Rapid’s new CEO. 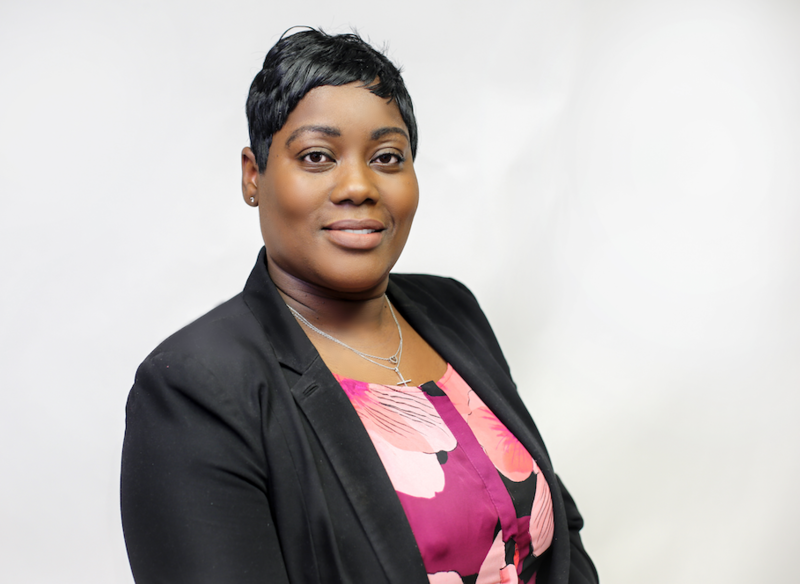 He formerly was Chief Operating Officer for the Champaign-Urbana Transit District with 20 years of senior-level management experience in public transportation and the for-profit sector. 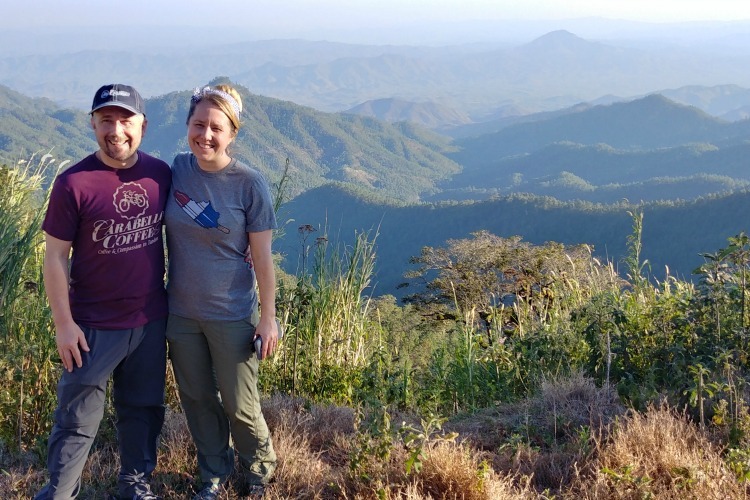 Before he officially ends his service in September, Varga has handful of suggestions for Johnson on leading a transit system that has served such a vital role in the community. Photos courtesy of The Rapid.